NOS’ sponsorship of the Series will begin with the 2017 season and will continue for multiple years. NOS Energy Drink is also the title sponsor for 3-time and current Formula DRIFT champion, Chris Forsberg. The sponsorship will include NOS branding, activation, and more beginning at Round 1: Streets of Long Beach in April 2017. 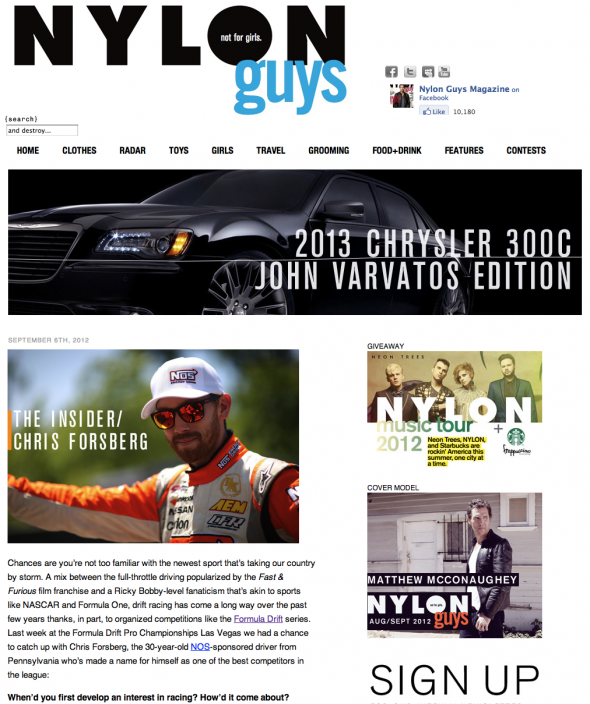 Chris Forsberg was recently featured in an article by Adrian Brinkley in Nylon Guys Magazine. The interview covers everything from Chris learning about drifting, the drifting community, how NOS Energy Drink got involved and where Chris feels the future of drifting is headed.